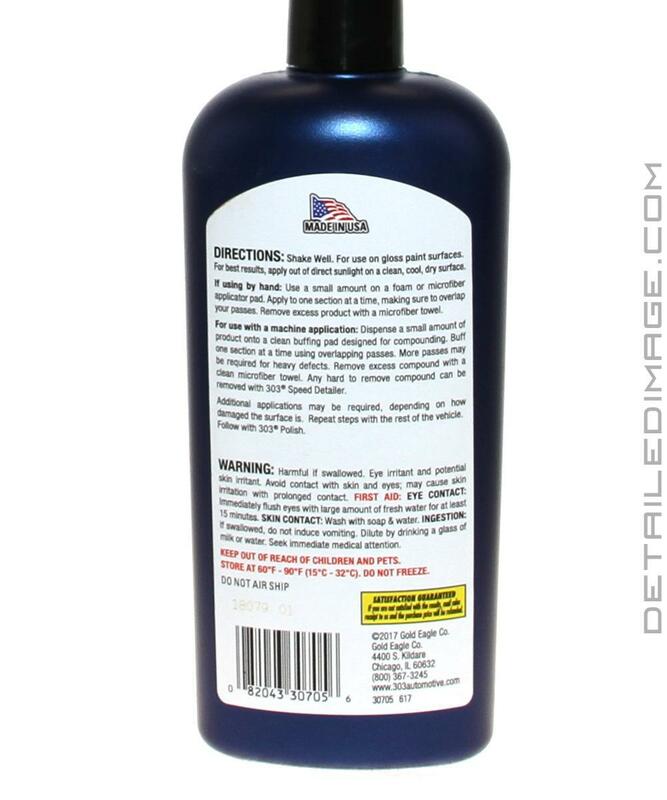 Eliminates swirls, oxidation, fine scratches, etc. 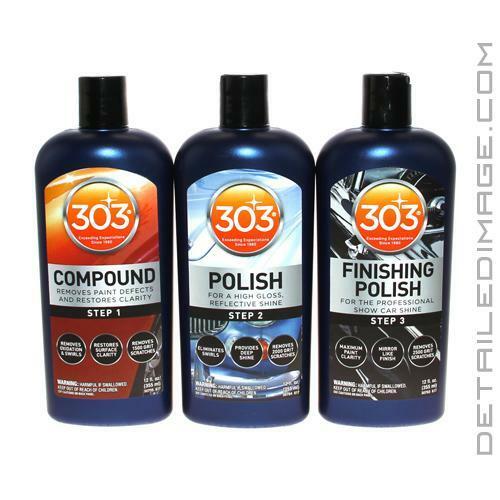 The 303 Automotive Compound Step 1 helps you remove severe defects, including swirls and scratches in the clear coat. Road debris and the general elements can do a number on your car's paint. From light scratches to swirls and oxidation, these imperfections take away from the overall clarity of your paint. Using the Compound is a safe and effective way to eliminate imperfections and begin restoring your paint to like new condition! Follow up with Step 2 Polish for best results! Shake Well. For use on gloss paint surfaces. For best results, apply out of direct sunlight on a clean, cool, dry surface. For use with a machine application: Dispense a small amount of product onto a clean buffing pad designed for compounding. Buff one section at a time using overlapping passes. More passes may be required for heavy defects. Remove excess compound with a clean microfiber towel. 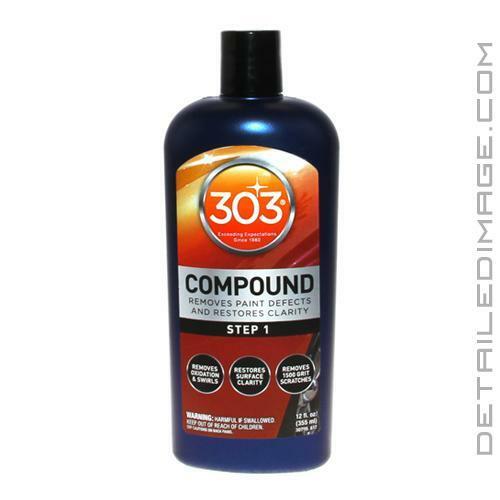 Any hard to remove compound can be removed with 303 Speed Detailer. Additional applications may be required, depending on how damaged the surface is. Repeat steps with the rest of the vehicle. Follow with 303 Polish. Such an overlooked product. Right on par with Meg. 105 and Menz. 400, but much easier to work with. Long working time, 0 dust, and so easy to wipe off. Not quite as fast/aggressive cut as Menz. 400, but finishes down almost as good with any pad type. Much cleaner and longer to use then Meg. 105. This seems to have all the best qualities of both 105 and 400. Wish they came in bigger bottles so you could get a little better value, as the current price/Oz. is a bit higher then Meg. and Menz.